With more than 100 different crossover/SUV models offered in the U.S., the shopping process can be downright daunting. 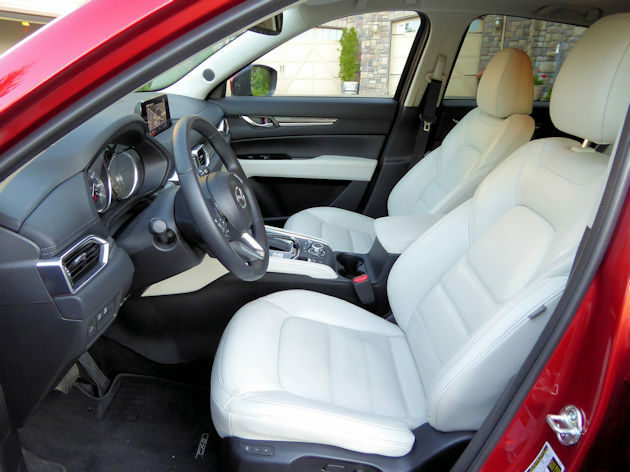 We?ve been impressed by many of the utilitarian vehicles and one of our favorites in the compact segment is the Mazda CX-5. All new or at least heavily updated in 2017, the CX-5 also received a moderate number of changes for 2018. Most of the changes were additions to the safety technology and included what we believe to be some of the most important safety features. These include features like Blind Spot Monitoring, Rear Cross Traffic Alter, High Beam Control, Lane Departure Warning, Radar Cruise Control and Smart Brake Support. 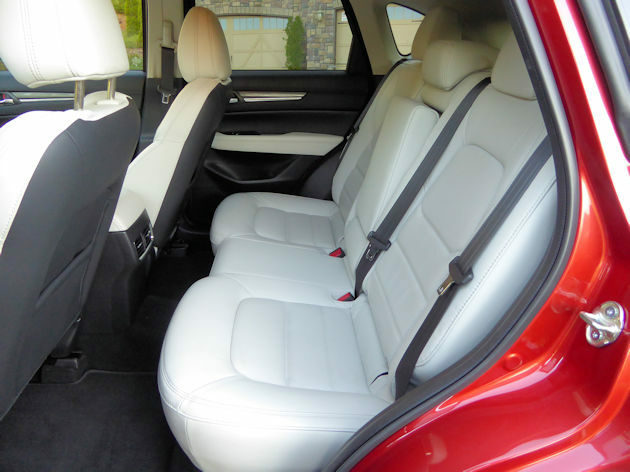 Not all features are available on all trim levels and the upper level Touring trim already had many of these features, but some are new to the Touring model this year. 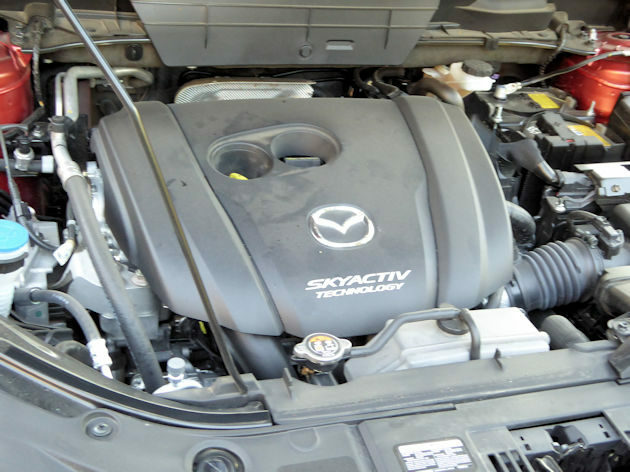 Most vehicles revel in their special or unique drive train features with fancy names, however we find the Mazda Skyactiv to have the most comprehensive inventories of technologies. They include everything from the body construction and engine technology, to the chassis and transmission. Chassis dynamics are aided by Mazda?s exclusive G-Vectoring Control, which uses the throttle to provide smoother, more confident steering. Mazda says it builds its cars around finesse rather than brute strength; innovation to do what?s best rather than simply what?s easy. We especially like the compact size of the CX-5, for its agility, high level of features and equipment. The fact that it fits nicely in our garage, is comfortable to ride in, can carry a good size load and it is fun to drive are all icing on the cake. A product of Mazda?s KODO ? Soul of Motion Design, the CX-5 design has evolved and sharpened to an even more sophisticated rendition of a basic design that has maintained a fresh contemporary look. It?s still a vehicle that turns our heads when one goes by on the street or highway. 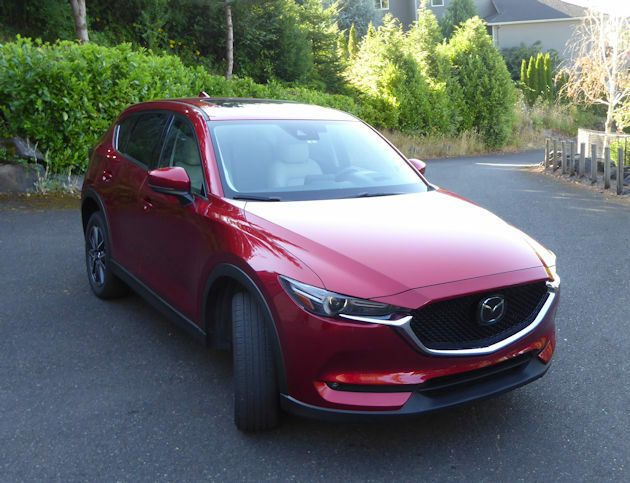 The popularity of the CX-5 has propelled the mid-level SUV into the Mazda top sales slot making up nearly one-half of the total Mazda sales. In addition, it was also the second fastest Mazda to reach the magical 1 million units worldwide ? following right behind the Mazda 3. 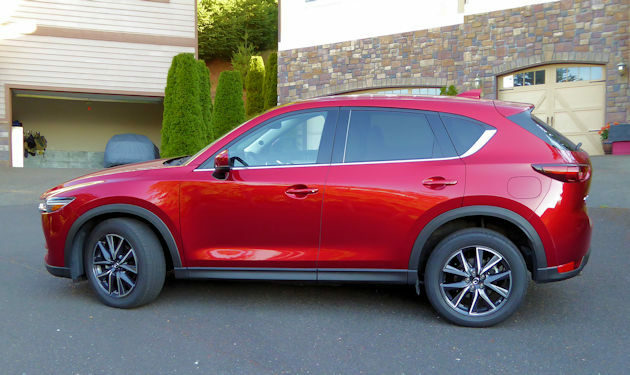 The Mazda CX-5 is available in three trim levels: Sport, Touring and Grand Touring with base prices ranging from $25,345, including the destination charge, for the front-wheel drive Sport to as high as $31,940 for the all-wheel drive Grand Touring. The all-wheel drive is a bargain at only $1,300. 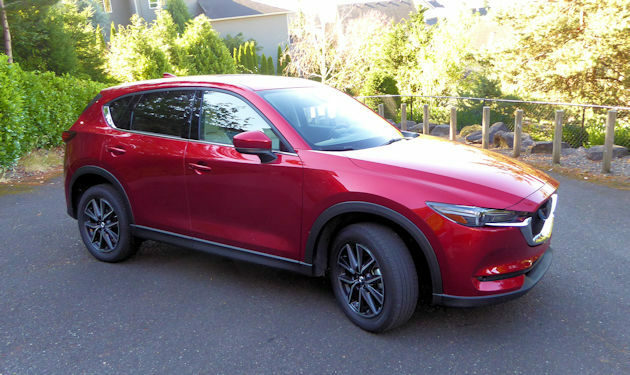 The Grand Touring AWD we drove was priced at $34,685, which included illuminated sill plates, beautiful Soul Red metallic paint, a couple of minor accessories and a $1,395 Premium Package which includes active driving display with traffic sign recognition, heated rear seats, heated steering wheel and windshield wiper deicer. 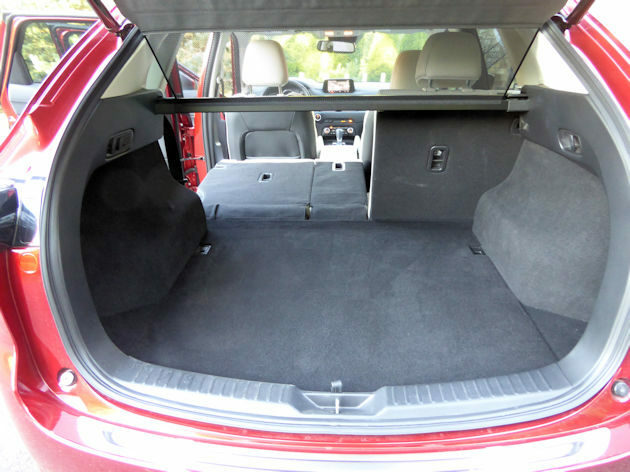 Standard features on the Grand Touring include features that are on our ?must have? list, including rain sensor wipers, high beam control, adaptive headlights, radar cruise control, and push-button start. Standard safety features include hill launch assist, blind spot monitoring, rear cross traffic alert, smart brake support, smart city brake support, lane departure warning and lane keep assist. We also appreciate the Auto Hold which holds the brake on at a stoplight, so you don?t have to keep your foot on the brake for those long periods of waiting. 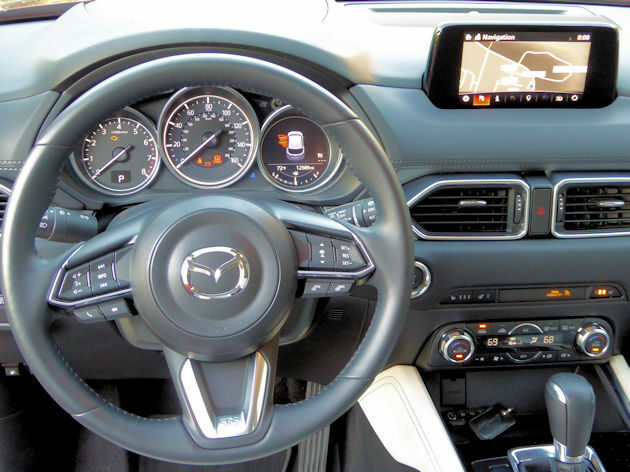 The seven-inch screen used for Mazda?s Connect? Infotainment System has a sharper picture with improved resolution and contrast. And, it?s a little thing, but the screen is moved higher on the dash and straightened for better visibility. Speaking of better visibility, the available head-up display has been moved from a reflective pop-up screen on the dash to a relocation of the readings on the windshield. 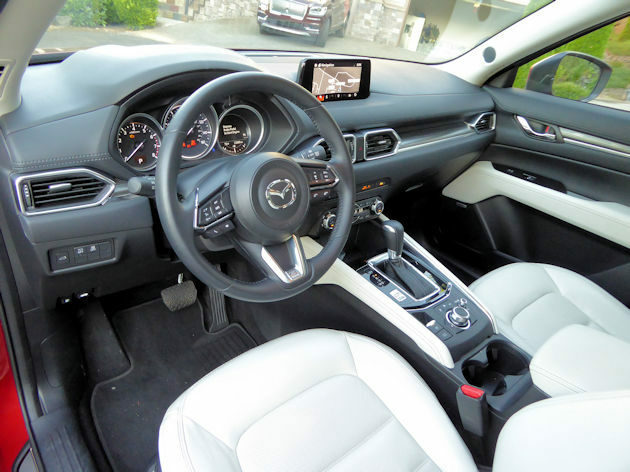 Under the hood of all trim levels is a 187-hp 2.5-liter four-cylinder SKYACTIV-G and six-speed SKYACTIV automatic transmission. The CX-5 feels spunkier than the 7.6 second 0 to 60 mph time implied. However, we found acceleration and passing power to be very good, although we?d be remiss if we didn?t say, it would be even nicer with more power ? perhaps a turbocharger option? The EPA lists fuel economy at 24 mpg city, 30 mpg highway and 26 mpg combined. We averaged 26.3 mpg during our week of mixed driving conditions. The CX-5 also has the first North American adaption of a G-Vectoring Control (GVC) for an all-wheel drive vehicle. The all-wheel drive versions (i-ACTIV AWD) have a new rear differential that cuts friction while becoming stronger and more efficient. If you are shopping for a small SUV, the choices are immense. 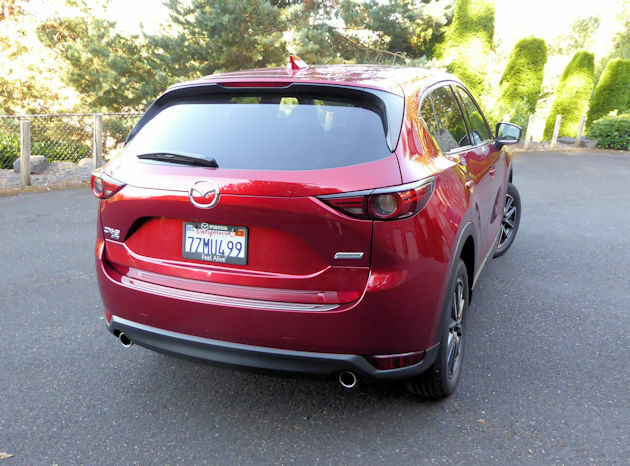 However, the Mazda CX-5 should be right near the top of your ?must drive? list. It?s outstanding from any angle.